Now, instead of mourning the loss of these important things, we can turn to content recovery and restoration methods. 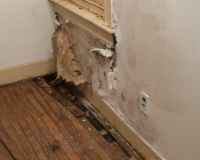 The chance of mold appearing in your home is significantly higher whenever a flood occurs inside your property. Depending on the damage caused, some cleaning methods are doable through the do-it-yourself process. Some property and health damages can spring from tiny organisms that are hidden within the walls, ceilings, or tiles of your spaces. It is important to know which aspects of your home need to be repaired or replaced for two main reasons. Not only does a broken pipe flood places in your home, but since this usually occurs during winter, which means that it also ends up freezing over as well. When looking for an alternative to restore water-damaged properties, the first line of action these days is through the method of structural drying. Families want to provide a safe and happy environment for them and their children to live in. But the home, however, is an easy place for fires to start. Faulty electrical wiring is the leading cause of electrical house fires. Learn how to prevent it in your home in Little Rock, Arkansas, by being aware of the warning signs.